Last month I attended London Fashion Weekend, and although I went to see the newest trends and fashions I was more interested in the makeup looks on the catwalk. Maybelline were the main sponsors for the makeup and they had maybelline makeup artists on hand in their pop up shop, I spoke to one of the artists about brows and although I wanted to try out their brow gel, she recommended their master shape brow pencil (£2.99). For my brows I normally use a mix between Mac Omega and Charcoal Brown eyeshadows (£13), I love this combination I think that it works really well with my skin tone and it gives a softer, more natural look. 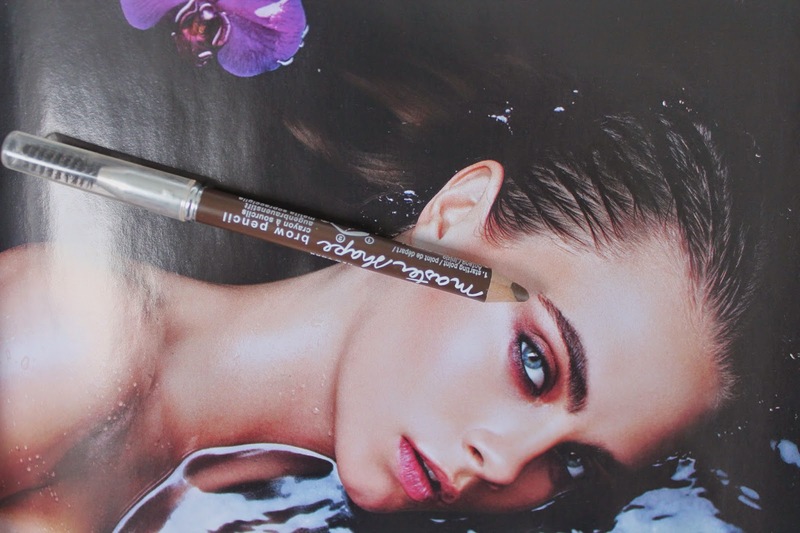 This pencil however adds definition and structure to my brows, when i’m going out I tend to use this and apply a little bit of powder on top for a stronger looking brow. This pencil is so easy to use, it has a brow brush on the end which is so handy to comb through the brows before and after. I have the shade soft brown and it is a perfect match, I was going to get something a bit lighter but this shade is spot on. What do you use to fill in your brows?